“A man spent more than $200,000 on plastic surgery to make himself look like a tiger”. 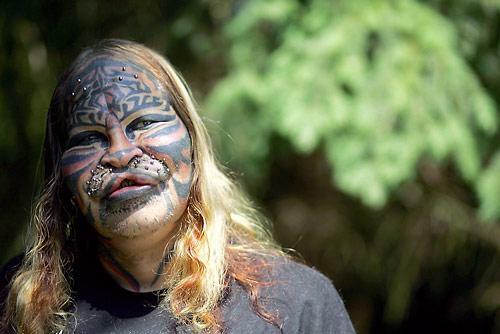 Dennis Avner, known as Stalking Cat was born on August 27, 1958. Dennis was an American known for his body modifications, which were intended to increase his resemblance to a female tiger. For his 14 surgical procedures towards the goal, he held a world record for “Most permanent transformations to look like an animal”. Many of Avner’s body modifications were performed by an Arizona-based artist, Steve Haworth. Whereas Larry Hanks in San Diego, California was the first artist who started the modification works on Avner’s body in 1985. 1) Full body tattooing, including facial tattooing. 2) Facial implants to change the shape of his eyebrow, forehead and the bridge of his nose. 3) He decided to get his nose flattened via septum relocation and also got silicone injected in his lips, cheeks and chin. 4) He bifurcated (split) his upper lip and surgically got his ears shaped, making them pointed. 5) He wore green contact lenses with slit irises and a robotic tail. His future modification plans included a plan for implants on top of his head, for mounting tiger-like ears. He spent more than $ 200,000 on these modifications which made his looks similar to that of a female tiger. As an adult, he joined the Navy as a sonar technician. He left his Navy post around 1981. He then began working as a computer programmer and technician in San Diego, California. He also appeared in the famous television show “Ripley’s Believe It or Not”. Rumors of Stalking Cat’s death began to circulate in November 2012. After moving from San Diego, Avner lived in Washington for a short time and then settled in his final destination in Tonopah, Nevada. Avner passed away alone in his garage on November 5th at the age of 54, people believe that it was a suicide but no cause of his death has been released yet.